Ocean Keys Shopping Centre is hosting a Lego event for April School holidays, and we are displaying some of our best creations! 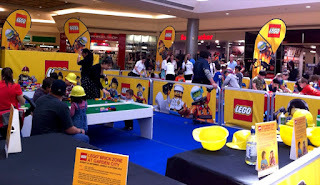 There will also be a Brick Zone for kids to build and have fun with Lego! April 11-23, 11am to 2pm, located outside Coles. Kids can test their building skills in the building competitions!Registrations required.